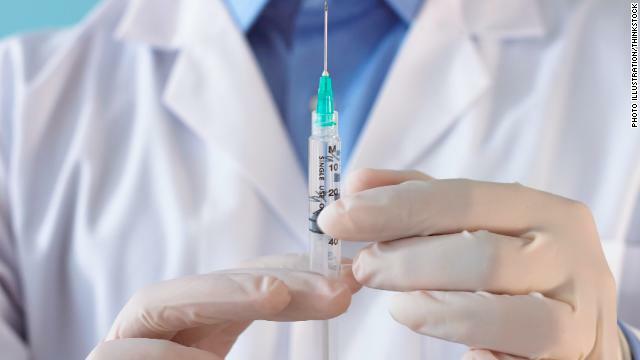 The company said during the FDA's ongoing inspection of its facility, it was notified the FDA would be "seeking improvements in Ameridose's sterility testing process. ... Ameridose has not received any adverse reports related to the products subject to this recall and neither Ameridose nor the FDA has identified impurities in any Ameridose products." The inspections come in the wake of the fungal meningitis outbreak that has sickened 377 people and killed 28. However, federal officials said the recall may contribute to a shortage of products. "The FDA has identified some Ameridose products that currently appear on the critical shortage list," the agency said in a statement. "These products were in shortage before the Ameridose recall, but supplies may be further affected as a result. ... The FDA is working with alternative manufacturers to maintain supplies of these life-saving drugs." The Massachusetts Department of Public Health previously had asked Ameridose and another company, Alaunus Pharmaceutical, to cease all pharmacy operations based on their shared ownership and leadership with NECC. Because the recall is recommended "out of an abundance of caution," the FDA said health care professionals do not need to follow up with patients who received Ameridose products. "Since its founding in 2006, Ameridose has shipped more than 70 million units of product," said Ameridose spokesman Andrew Paven. "During those six years, Ameridose has maintained an excellent working relationship with its regulatory authorities nationwide and has never been the subject of a lawsuit related to product experience or patient safety. The company agreed to a voluntary recall of all products in circulation because customer confidence is paramount to its business." Wow so pathetic. Not only was the FDA looking the other way on these illicit compounding facilities but they were counting on them to provide critical medicine to the populace. Our food and drug system is so hopelessly broken and instead of spending money and fixing it more people will die bureaucrats will keep their cushy jobs and the whole system will wait anxiously for this issue to disappear from the press again. "illicit compounding facilities" Illicit? These facilities are hardly illicit. There are some 8000 compounding pharmacies in America. Last year, they filled about 1.5 million prescriptions. Those are prescriptions that typical retail pharmacies are not equipped to handle and/or prescriptions for which the major drug companies do not have standard products.to fill. Excluding the recent NECC situation, the FDA has traced only 23 deaths to compounding pharmacies in last 11 years. When you keep in mind that many of the prescriptions filled by these facilities are very complicated - to complicated for typical retail pharmacies or even for hospital pharmacies - and that many of the patients are quite sick to begin with, that is a praiseworthy safety record. The FDA was not looking the other way. The FDA only has the power to regulate what the legislative process has given them the power to regulate. Currently, there are limited regulations that give them the authority to regulate compounding pharmacies, mostly their hands are tied and can not get involved till a problem is found. To their credit, they have tried to use existing regulations to gain control over compounding pharmacies, but have been challenged in the courts. I know its easy to boil down big problems to nice quips, but rarely are they accurate. I won't argue this problem was compounded by poorly written laws by the politicians but in this particular case this compounding pharmacy was not even in the grey area of law. They only called themselves a compounding facility in name when what they were was a unregulated drug maker putting out medications on an industrial scale. The FDA knew this place had problems in the past also. ASDF I think you have your facts wrong. These are not illicit fascilities as the compounding pharmacies are legal and actually needed as people need these drugs. The FDA is required to inspect fascilities only once a year and pharmaceutical companies lobby for these as they represent big business for them. As stated before, the FDA can only go as far as the law allows. When people like you make comments without facts or merit, it trully shows youe ignorance. Sorry for the bold remark. Granted there are, of course, people who need medication, but we are such an overmedicated society it is pathetic. Nothing new about that. Mankind has been abusing drugs for thousands of years. it's not likely to stop soon. Ameridose would buy out all the product before backorders and there were really no alternatives but to buy their pre-mixed medications. It was amazing. It was as if they were paying off wholesalers to tip them off before others as to impending drug shortages. Perfect example was potassium and sodium phosphates about a year ago. Good old globalists in action. Pharmacy was contributing to who ? Obama ? Romney ? Wondered what took them so long to play the fear card. The FDA could have done something. The FDA could have just argued the law should be construed to cover all drug vendors. Saying their hands were tied is just an excuse. The FDA is corrupt. See Vioxx. The FDA couldnt have done anything , congress speciifally leaves monitoring of compounding pharmacies to State authourities. Mass authorities did actually investigate at least one of theses companies ( see a story here on CNN yesterday ) and recommended action agianst them , but then Gov Romney refused to take any action , saying that any action and public knowledge of the problems , would hurt the financial health of the company . The FDA has done everything they could , they got involved when there were reports of of a disease outbreak , and then discovered the source of contamination. Nothing like putting the profits of an out-of-state (and at least partially foreign-owned) corporation above the welfare of the people who vote. Says a whole lot about just how much of the "family man" bit is an act put up to convince the stupid masses that he cares about them. The only things Romney ever cared about were his own hide, making money, and getting as much power as possible. And people want to a corrupt sleezball like Romney into the White House thinking he'll improve things? Human stupidity truly is infinite. Can't smoke a doobie to calm the nerves after a hard day of work and taking care of the family but big pharma can kill thousands before there is even a report filed. Another way to charge more a drug than necessary. Let's just look at industry's "self policing" safety record before government inspection and regulation – Triange Shirt Waste Company – 146 dead; mine deaths – in the thousands each year. Look at China's mining record with no regulation. There are some companies that do a good job on worker safety, but then there are others that give it low priority. Oops – that's Triangle Shirtwaist Company. Massachusetts regulatory agency found that the New England Compounding Co., the pharmaceutical company tied to the epidemic, repeatedly failed to meet accepted standards in 2004 — but a reprimand was withdrawn by the Romney administration in apparent deference to the company’s business interests. “It goes all the way up to Mitt Romney,” said Alyson Oliver, a Michigan attorney representing victims of the outbreak. According to Oliver, on at least six occasions, NECC was cited by authorities for failure to meet regulatory standards and almost subjected to a three-year probation. “It goes directly to the heart of what Romney says about regulation, ‘Hands off. Let the companies do their thing.’”!!!! drugs they certainly have people who can do it in an emergency.